In our last blog we talked about Locust Hill Forest and how it offered a solid timber investment AND many recreational amenities, allowing the new owner to enjoy their land while the trees appreciate in value. In the past couple of weeks we have introduced two new properties that offer a similar combination of timber appreciation and recreational and/or residential possibilities. 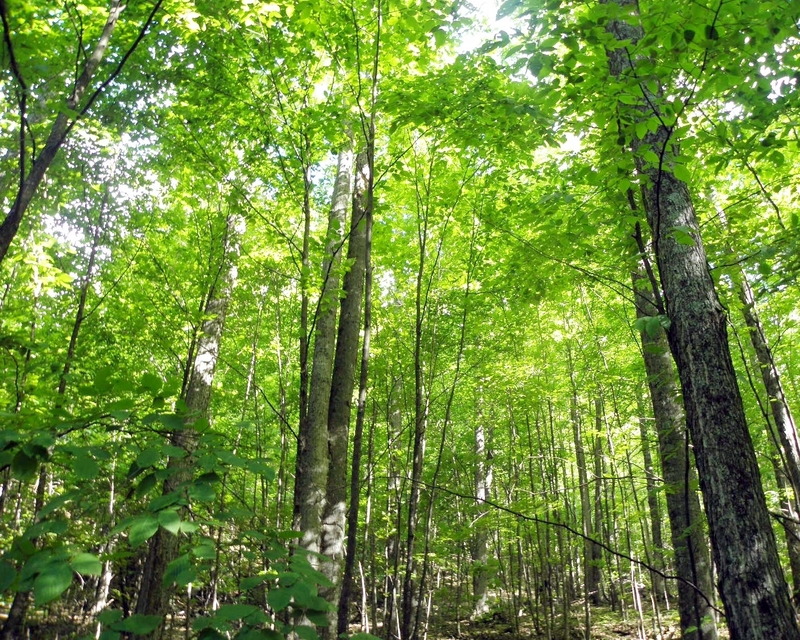 Tiger Hill Forest is an expansive timber investment in southwest Maine with a Capital Timber Value of $937,100. It is well-positioned to increase in value since much of the stocking is in middle-aged stems in the pole and small sawlog size classes. Furthermore, the resource is dominated by high-value species such as red oak and white pine. The property is highly accessible and enjoys low taxes and maintenance costs. Tiger Hill Forest is an excellent place to diversify assets. Meanwhile, there are several sites on Tiger Hill Forest where one can site a house or cabin. Up on the top of Tiger Hill and Larabee Mountain, there are partially cleared views of the region’s lakes and ponds and long distance views of the White Mountains in New Hampshire. There are great hunting opportunities both for woodland species and for waterfowl along the Northwest River and interior beaver ponds. In its simplest form, the property is over 1,000 acres so there is much terrain to hike and explore. Similar to Tiger Brook Forest, Pacific Brook Forest in northern Vermont offers a sound investment in timber and/or sugarbush activity while also offering amenities for the next owner to enjoy while the trees grow and the sap flows. The value of the standing timber on Pacific Brook Forest is $593,900. The majority of the species is hardwoods, and those are led by sugar maple. The property has been well-managed for many years and is generally full stocked. The next owner can continue managing the timber for harvest or they can establish a sugarbush with as many as 27,000± taps available now and the same number coming available as the stock grows. Either way, Pacific Brook offers a return on the investment. Pacific Brook offers so much more than the value of the trees and their products. An existing older home is suitable as a camp, perhaps until a more modern structure can be built. The home is at the edge of a large sweep of level meadows which offer some of the finest views in Vermont. From here, one can see north to Jay Peak, east to many other peaks of the Green Mountains and west to the Cold Hollow Range. This spot is at the end of a town road, so it is accessible but very private. Pacific Brook, the namesake of the property, is a unique series of 4 waterfalls with deep pools and narrow gorges. So whether you are partial to western Maine or northern Vermont, here are two solid timber investments that both provide an appealing list of other amenities.